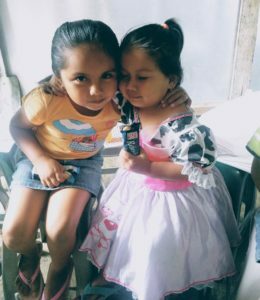 We have 10 children in this “barrio” neighborhood who are attending the children’s Bible class that SOR Mission is hosting. I know that soon we’ll have many more children attending. Another beautiful thing about working with these children is to see how little by little, through our presence in this neighborhood, the community is beginning to change. 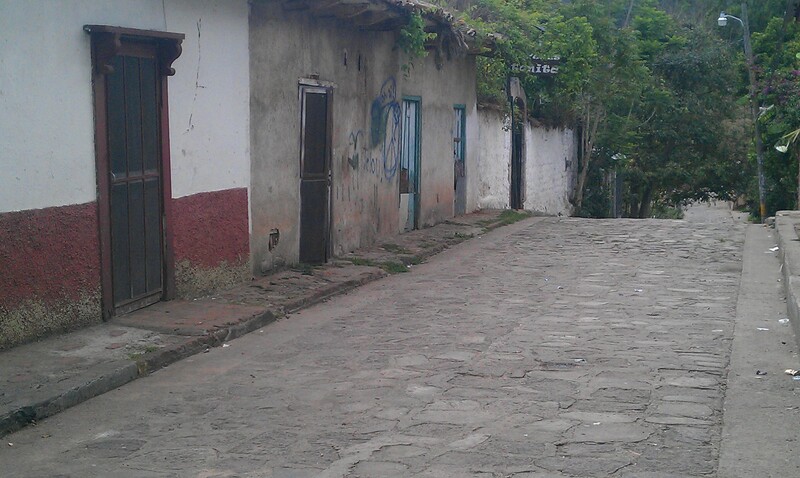 Initially I was received with coolness and the ladies were less than welcoming of a “stranger” in their barrio. But now they are beginning to smile and to greet me when I come for the Bible class. 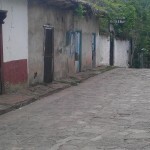 I know that soon God will also open the doors for us to begin a study with the mothers of this barrio. I know without a doubt that the love of God will transform these people and people transformed by the gospel lead to communities being transformed. Glory to God! 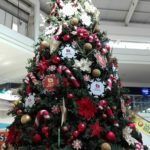 Christmas in Central America is around the corner seeing we don’t celebrate Thanksgiving like you do in the United States. It’s a favorite time of year for me because I highly value the birth of our Lord Jesus Christ who came to this world so that everyone who believes in Him can have eternal life plus they can have a life here full of value and purpose. It’s also a favorite time of year because I can thank God for all the blessings received in my life throughout the year and I also can thank him for the opportunity that He’s given me to bless those that he’s put in my path this past year. I pray these mothers and children will come to know Him better and that they’ll have a closer walk with Jesus in 2018. That’s why Christmas is a time to celebrate as we share gifts with those we love as well coming together to share family time and a common meal with those we love. The gifts we give are an example of the great gift that God gave us by sending his son Jesus. . This year, as in previous years, Seeds of Righteousness Mission wants to offer the children of parents with limited resources with whom we work a Christmas party. These children normally do not receive a special dinner or a gift because these children are from homes where a single mother struggles to merely feed and clothe her children. These families are considered the poor. 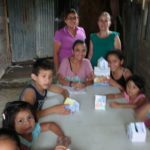 SOR Mission through our Justice ministry is working this year with 40 children who are the children of the mothers who are receiving Bible studies and counseling through SOR Mission. These children also are from a Bible class that I started two months ago in one of the poorest neighborhoods of San Ramón. Our goal is to have a day of celebration for the entire group of mothers and children to remember Jesus and celebrate his birthday. 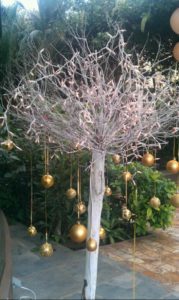 That day we will have a special talk about the true meaning of Christmas, a typical meal for everyone and gifts for children. 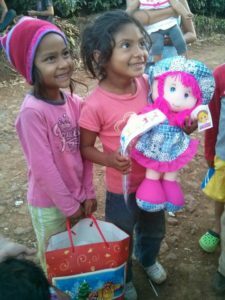 The gifts that we would like to give to the children will be something that is useful for their daily lives such as shoes, clothes or food. 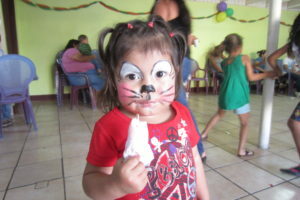 By sponsoring 1, 2 or more children at $30 each you will be a huge blessing to those children and their family. You can make your donation by clicking here at www.sormission.org then going to Donate where you can donate under Justice for the party. 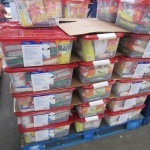 You can also send in a check to our mission at 702 Kentucky St., #200, Bellingham, WA 98225. . I know that the Lord will bless your life enormously as Psalms 41 says for helping these children have a special Christmas 2017. Thank you very much and many blessings. These girls have shown me a great example of love, innocence and humility. This past week we went to their neighborhood to teach the children about Noah’s life. When we arrived we went to ask the mother of these beautiful girls if they were going to attend. One of them ran to tell us “Mom is combing our hair and is readying our clothes so we can go”. There was a terrible downpour and mud was everywhere. Who would take so long to prepare and put on their best clothes to go and listen to the story of Noah? God spoke to me and taught me how important it is to always present ourselves in our “best clothes” when we are in His presence. And what are the clothes that we should wear in his presence? Humility, innocence and transparency before Him. As we clothe ourselves with these qualities, we will be ready to receive all those blessings that He has prepared for us, including ourselves being a blessing to others around us. The other day in the Maternity Ward at the hospital I met for the first time a mother who in a few weeks will give birth to triplets. She told me she did not attend any church so the motivational message I gave her to seek from God was profound and I certainly know that the Holy Spirit was by my side inspiring me to find the words I needed to say to her. Now I have the hope and conviction that God will move the heart of this mother and I pray that those three beautiful girls one day like their mother will enjoy the kingdom of God in part because of the time I spent with their mother at the hospital. The Old Testament prophet Jeremiah revealed to us God’s desire for us in that “ For I know the plans I have for you,” declares the Lord, “plans to prosper you and not to harm you, plans to give you hope and a future. Jeremiah 29:11. Read the full context of this verse by clicking here. 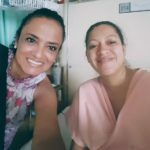 Recently on one of my visits to the pediatric ward at the hospital I brought along with me a young ministry friend of mine named May who helped me with the ministry that day at the hospital. In Pediatrics we shared with a young boy who had been hospitalized because of a knife wound that his mother said to us had been an accident. We shared with Mel about God sending his Son Jesus Christ to save us. When asked if he believed in Jesus he replied that he knew that there had to be a God but he didn’t know how to communicate with him. During our sharing with her son Mel, his mother had remained rather silent and removed from what we had been sharing with Mel. I asked Mel if he’d ever been to church before and he replied that he hadn’t but said that it would like to if he had a chance to go. His mother briefly looked up at us and taking the opportunity we encouraged her to take her son upon his discharge from the hospital to find an evangelical church nearby where they live. She pondered our comments and their eternal destiny. Yesterday we had a meeting for the Sunday School teachers of the Fountain of Peace Church in San Ramon. I am very grateful to the Lord that these teachers have matured and learned by being discipled into caring for others. I have been able to see their spiritual growth and transformation and also their increasing desire to serve God each day. It’s fascinating to see the love these teachers show to the children they teach. I know that someday some of these children will be teaching others as well. 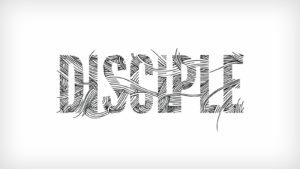 God values these relationships and that’s what we’re doing when we take the time to disciple others. Who are you discipling at the present time? For sure, if you’re a mother, you’ve got your hands full of children and grandchildren. You know, it’s also a great way for us to grow in our walk with the Lord. It’s also an excellent way for each of us ladies to receive that which we lack ourselves. I saw this played out in my own life when a few years ago I lost my grandmother, mother and closest sister in a period of three weeks. How I suffered, but God enabled me to be ministered to by those I was helping. God is so full of grace and mercy. He’s so wonderful!!! 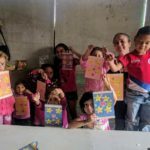 The Fountain of Peace Church does not have adequate resources for its Sunday School program but some of you have donated books, coloring pencils, crayons, glue, construction paper, etc. You have to see how happy the teachers and children are to have these materials for Sunday School. Now the kids are loving Sunday School as each week it’s interesting to them to learn about Jesus in new and exciting ways using these materials to express this. We’re doing this together as one body and I say thanks so much. For some of you who would like to help, but maybe haven’t been able in the past, to be a part of my Justice ministry to women and children, you can click on donate now to partner with me by donating to our Justice ministry. The money you donate will be used for items mentioned in this article. 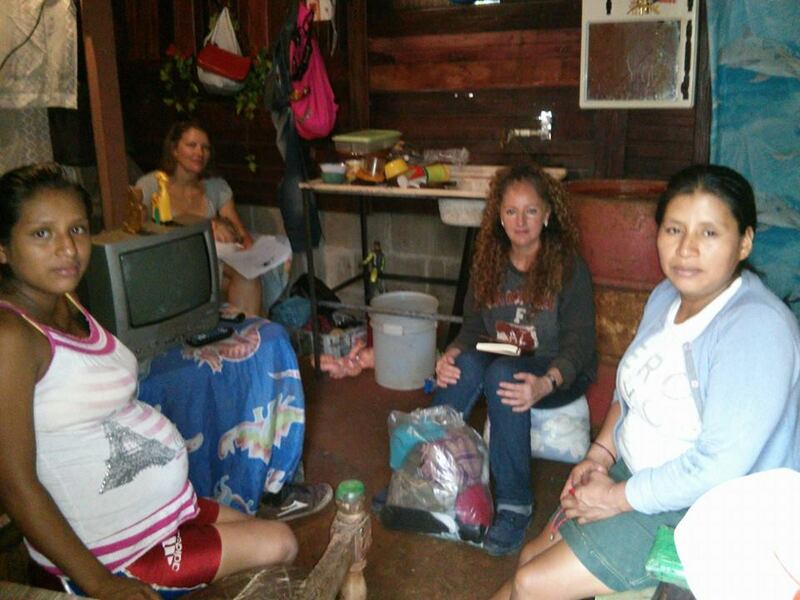 I first met Manuela and her family about 8 month ago when she opened her home for us to start a Bible Study with 6 ladies who wanted to grow and learn more about the Bible. 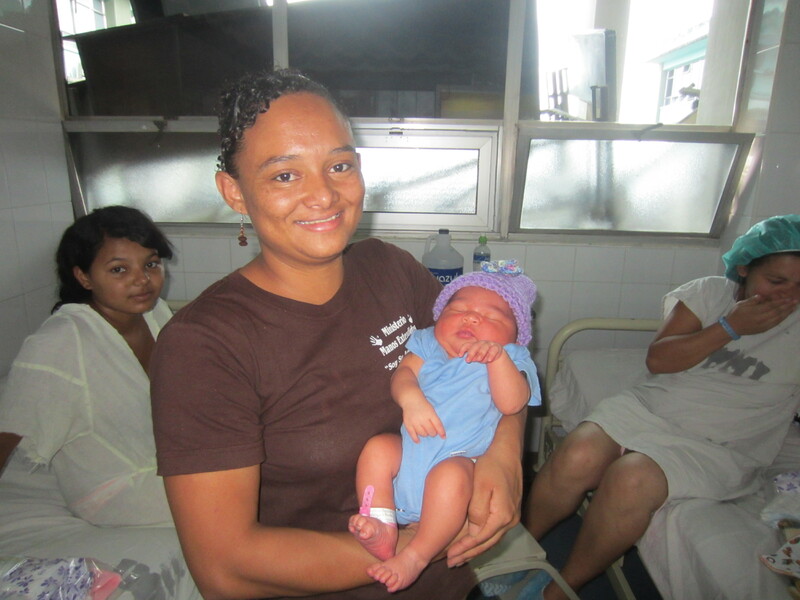 Manuela has 7 children and she had twin girls about a month ago with her second husband. 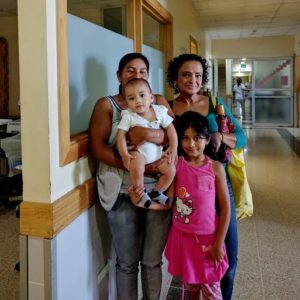 Manuela and her husband are from Nicaragua and they both came here to look for new opportunities and to find a better life for themselves and their children. Manuela’s husband was fortunate to find a job in Costa Rica and they have been living here since 2009. Manuela has two children of her own from her first marriage which terminated when her first husband abandoned the family and moved out to be with someone else. For some time after she and her kids didn’t have a place to live and very little to eat, but while she was struggling with this situation she met her 2nd husband. Later on they decided to move to Costa Rica when her little girl was 6 and her boy was 7 years old. 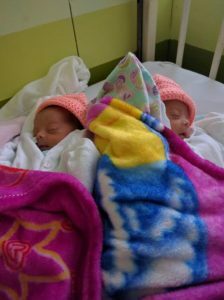 When Manuela had the twins, they were fighting for their lives because they were born at 7 months and their weight was very low. 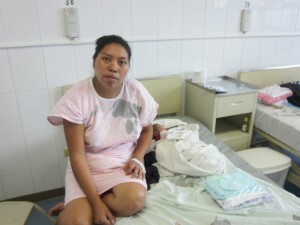 Manuela was desperate and thought she would lose her twins. The caesarean birth incision that Manuela had at their birth became infected and that only added to her problems she was dealing with. 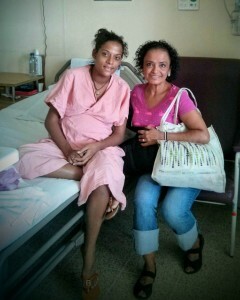 My ministry sister Flor and I visited the hospital and prayed for her and her twins. That day she would not stop thanking us because she knew that through our prayer she felt sure that God was not going to abandon them and that things would work out ahead. It turns out that while she was in the hospital, their children were with the dad, including her two children from the previous marriage. When her oldest daughter from her previous marriage arrived at the hospital she appeared very sad and was quite withdrawn. Manuela asked her the reason for her sadness and she confessed that her stepfather, while she was in the hospital, had molested her. Manuela immediately afterwards asked her husband to get out of the house and now as a result of this tragedy she does not have his support to help their children and especially the twins. She is very scared but she says that she can’t let her husband continue to live in the house. Manuela is going through a very difficult situation at this time. She does not have the means to feed their twins and the rest of their children. 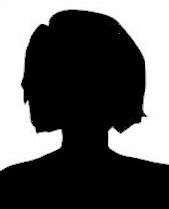 In addition she has sought work but has not been able to find a job to get ahead. 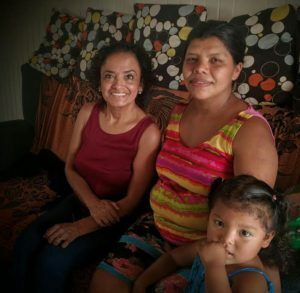 Remember that here in Central America the government does not provide a safety net for people like Manuela and she is struggling with her family crisis at this time. 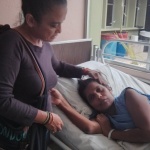 Asking directly for help for my justice ministry has not been my focus as a missionary over the years but this time I am asking you passionately for your help with Manuela if you can. She desperately needs our prayers and financial support for her and her children so that she can raise herself up out of this situation. I really need your help! You can go to our donate now above and under Justice make a donation to help Manuela or you can go to our contact us page above to see other means that you can support us. Please send me an email with your thoughts and prayers. My email address is on the contact us page above on this website. As I greeted this lady I was still a bit confused as my mind was struggling to remember her. “I will never forget the day that I was admitted here and I was so very distressed because my baby had been born at just 34 weeks and was fighting for his life. I remember you came and sat next to my bed and read a scripture from the Bible that I will never forget” she said. “That same day you prayed for my baby and me and this is the baby that you prayed for over eight months ago and since then I thank God for his life. You made a big difference to come and encourage me in a very difficult time for my life and my baby. I’ll never forget. I still have the blanket and the newborn clothes you gave me that day. I am so very happy to see you again. ” she said as tears welled up in her eyes. In closing there are times for all of us to be used of God in a special way as this. Make the most of every opportunity as we never know what the person is going through that we speak with. Here, the opportunities appear every day and each day presents many opportunities to share about Jesus with the women, girls and children that I talk and share with. I first met Maria through a Bible study that we started for six Catholic women who wanted to learn more about the Bible. Maria and her husband have two boys and a little girl. Maria was in the beginning very quiet and didn’t share much about what we were studying from the Bible but now some eight months later she is a very different person. She laughs, reads the Bible and shares her feelings with the rest of the group. One day recently she came to our Bible study with a very sad face. All the other ladies in the group were concerned. She told us that she had been having a problem with one of her molars. She told us that she has had suffered for almost a year with this pain but because she didn’t have insurance nor adequate finances she wasn’t able to see a dentist. She said that she was trying to save some money for having it repaired but as a mother of three, there was always something more important to pay for rather than the dentist for her dental problem. That day we prayed for Maria and I told her that God was going to help her someway and as a result she went home with the hope that God would somehow provide. That day we prayed for her and told her that God was going to help her someway. She went home and I asked my friend Flor if she knew a dentist in downtown that was affordable and that maybe we could visit him and ask him if he could give us a good discount. Hermana Flor told me that she thought that her dentist was very affordable. He helped Maria that day and found that the tooth had deteriorated so much that extraction of her molar was the only alternative. He deeply reduced his fees and charged us only $6.00 (coffee for two!) and as a result Maria was so happy to have the pain gone and we at SOR Mission were once again so happy to be used of God for loving yet another person. 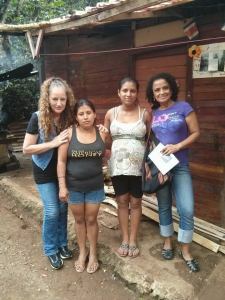 You too can get involved by praying for this ministry and helping me to connect with these women and others like them. You can also get involved by becoming a monthly partner with me by going to our donate now page and entering your monthly faith pledge under the heading of Justice. Your gift will be used exclusively for my Justice Ministry. Thank you so much. Sometimes I don’t feel very motivated in going to the orphanage because I know that these children can be hard to work with at times especially when I try to share stories with them. 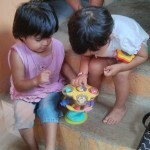 They usually come from difficult backgrounds and for that reason are at the orphanage. Once I’m there however, I forget that I didn’t have the excitement in coming. Just seeing their beautiful faces and how happy they are when they run to us and greet us with a big hug melts my heart and makes me so glad I came. I know that these children need to know that Jesus loves them. They usually don’t have a father figure in their life and they need to know that Jesus is always there for them and that He will never forsake them like their earthly parents did. I love to see the excitement they have every week when I ask them who remembered what we talked about last week. Many of them raise their hands and tell me the story without forgetting any details. That makes my heart rejoice. Last Thursday when we were ready to go, I asked the children, who wanted to pray? Jorge raised his hand and said, “thank you Lord for our house, our food, the aunties who take care of us and for Alexandra and Tatiana that come to teach us about you. Also God please help my sister and I to find a good mother and a father real soon who can love us. 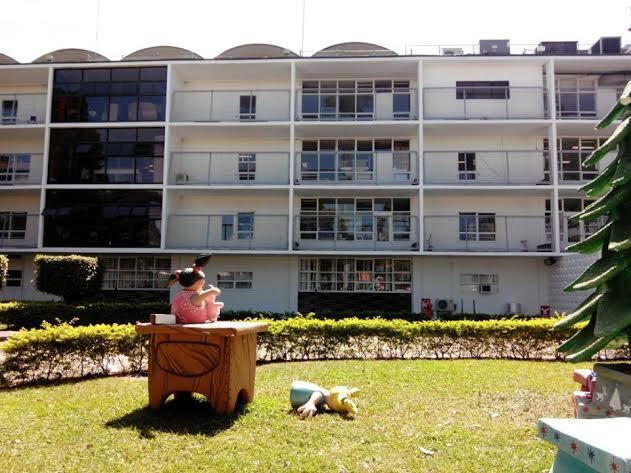 The day I met A… at the Maternity Ward at the Hospital she was very anxious. She had been admitted because she was bleeding and her baby was only in the 23rd week of gestation. That day I shared Philippians 4:6-7 with her where it states, “Do not be anxious about anything, but in every situation, by prayer and petition, with thanksgiving, present your requests to God and the peace of God, which transcends all understanding, will guard your hearts and your minds in Christ Jesus”. She asked me to pray for her telling me “I know that God can help me”. After my visit, she told me that she wanted to see me again. “The doctors told me that I’m not allowed to go home”, she told me with tears in her eyes. “My mother and father live in a town far away and I know that they aren’t going to be able to come to see me very often because they won’t’ be able to afford it. I’ll have to be here at the hospital until my baby is 34 weeks”. I started praying at home for her but it wasn’t easy for me to think that she was all by herself feeling lonely and anxious. I also prayed for her salvation and I was very happy knowing that I was going to have plenty of time with her at the hospital to tell her more about God’s love and His special plan for her here on earth. On my third visit to the hospital, she repeated with me the Salvation prayer I noticed that she was very happy. She said, “Every Monday and Friday I look forward to seeing you. Thank you for taking the time to visit me and encouraging me”. I am very thankful that God gives me so many different opportunities through the hospital ministry with Justice to change people’s lives. I’m very happy that I will be able to continue encouraging Angely in her new life with God for a longer time. Praise the Lord! Recently just after I had finished my visit to the maternity ward, a lady near the stairway asked me if I knew where the exit was from the hospital. I said to her, “Follow me! I’ll show you!” While walking to the exit I noticed that she appeared very stricken with grief so I asked her why she had come to the hospital that day. She mentioned that she was there visiting her 14 year old daughter who was having a baby While beginning to cry she shared with me that she hadn’t been the best mom around but also that she hadn’t been a bad mom either. When I mentioned to her that I wanted to visit her daughter and present her with a small gift she lite up and was surprised that a missionary would want to visit her daughter yet unknown to me. 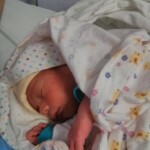 The next day I visited her daughter “Katie” in the hospital and saw her beautiful baby boy. Also the baby’s very young father was there as well and so I was able to pray for the both of them in addition to the baby. I presented to them a message of hope in knowing Christ as your personal savior. We have known the Chavarria family for about 10 months. The Chavarria family consists of 7 people: The father and mother, one older son, his partner and their two children plus one younger son. 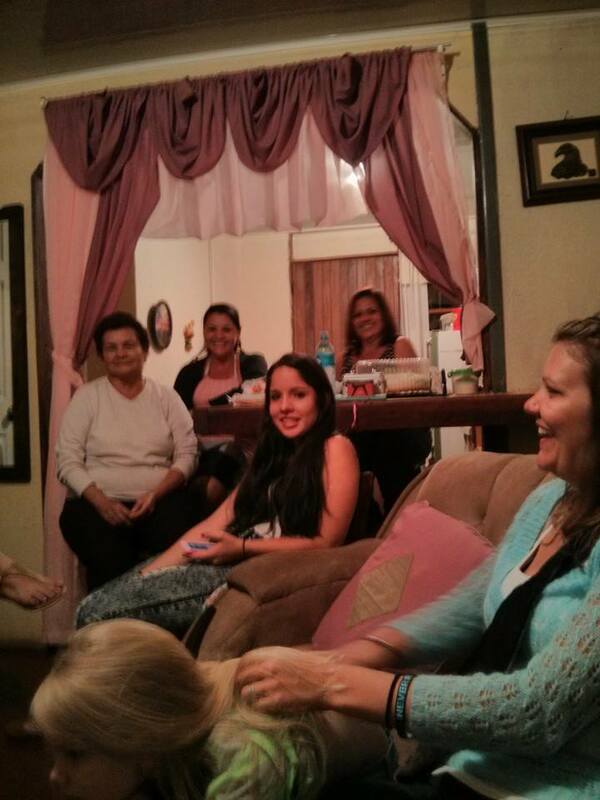 Hannah, Hilda and Alexandra started a Bible study with this family to help them with their spiritual growth. Throughout this time they have grown close to them in their friendship and the relationship has grown into a very special one. In these 10 months have passed a number of different major challenges regarding their health, twice they’ve been forced to leave their home because the two wage earners didn’t have any work so as a result they didn’t have enough money to pay the rent. 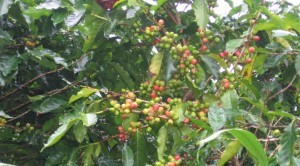 During the coffee harvest they worked all they could picking coffee either under the hot daytime sun or the cold rains for 12-hour shifts per day. 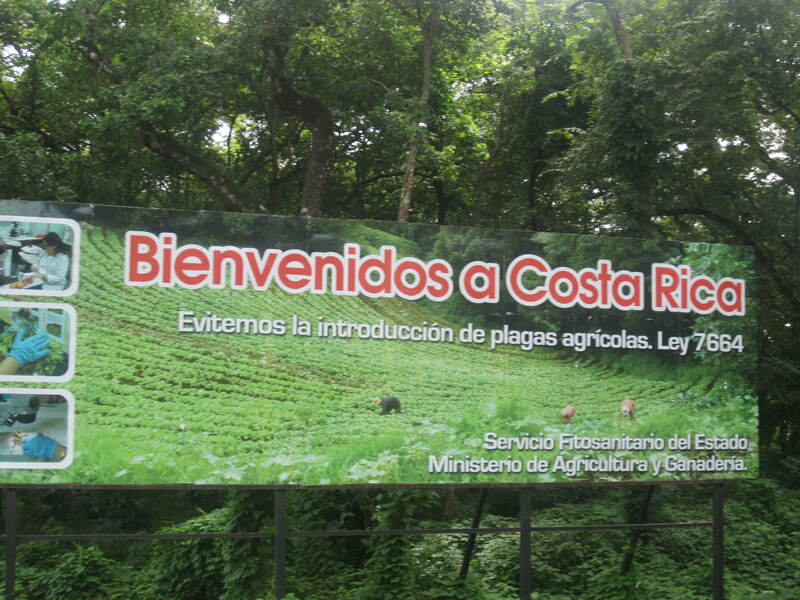 In other words, from sun to sun here in Central America. 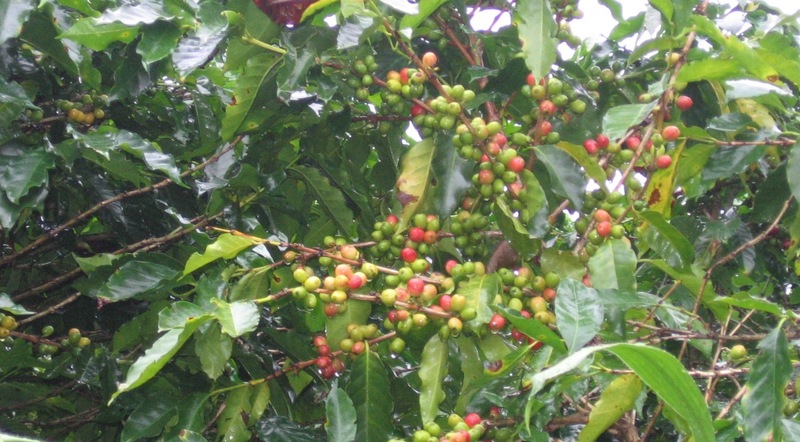 When the coffee harvest ended they found work cutting sugar cane by hand. This is one of the toughest and heaviest jobs there is in this area. Two weeks ago when the coffee harvest ended the Chavarria family was forced to leave the 4 post hut that had served them throughout the coffee harvest as their home. Again with much stress they didn’t know what to do or where to go next; however, they found a small structure under which they could live. The openings in the walls allow the cold and rain to enter the room on these cold and rainy days here, but this was all they could afford. Yet when we arrived they greeted us with big smiles opened the door of their humble house and invited us in for a Bible study and visit. That day we had a surprise for their son Manuel and his partner Gladys. They have been living together for over 8 years and after the Bible studies we have given they had decided on their own to get married and legalize their union. The teachings they received changed their lives and gave them the desire to marry under the blessing of the Lord Jesus. 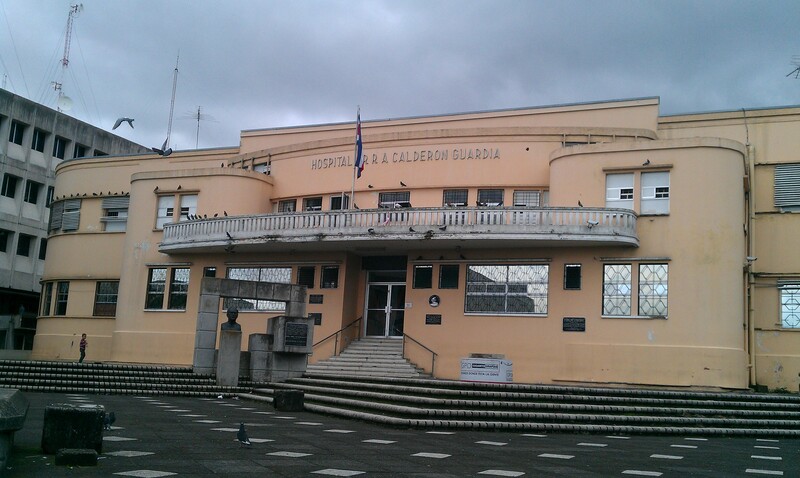 They had wanted to for some time but were simply unable to do so due to the high legal fees charged by Costa Rican lawyers to do the paperwork. Thus they were not able to marry. The surprise was that a lawyer from the church that Hilda attends offered to marry Manuel and Gladys for a very minimal fee. After hearing this, the joy in their hearts and the twinkle in their eyes is something I will never forget. The boys along with their mother lived near San Ramon in the mountains and were often times hungry and even had to eat monkey to survive. Child Protective Services (CPS), through a neighbor, found out that their mother was practicing witchcraft and was constantly leaving the children alone in the house. Thanks to this neighbor the CPS was able to remove the children from their mother’s home. “Maria” and her husband heard about this case and they went to CPS to see if it would be possible for them to be foster parents for these children. Anna had tried to have children but for some reason she was not able. CPS, after making a study, decided to give the children to this couple and within a year she became pregnant, appearing that God’s grace came over her as a blessing for what she had done. them with the expenses for these precious five children. Anna’s husband has two Jobs in order to be able to support them. Anna says that when the children arrived at their home they had an amazing amount of different health issues including anemia to resolve. Now, after a year, the children are doing much better and they are even attending school. This couple has been a wonderful blessing for these little ones. They say that they have had some difficulties but they know that God is with them and they are happy to see all the improvements that these children are making. Please help us to continue this work with your donation to our mission. You can donate directly at our online egiving site on this page. Blessings! Doña Rosa y Seneida live in a very humble house where every day they cook over a wood fire which emits tons of smoke which is so harmful to their health. The house has a dirt floor and every time it rains, which now is almost every day, the house becomes very damp and humid inside the house. Can you imagine living under such difficult conditions? In this small little house ,which might be the size of a small American living room, live 5 people; doña Rosa and her husband, Seneida, who is pregnant, along with her husband and doña Rosa’s youngest son. The only division that they have to maintain a little privacy between rooms is a blanket between where they sleep. 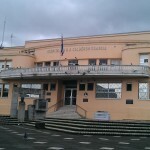 Dona Rosa has expressed to us on numerous occasions how difficult it is to pay the lights and water each month. She has also commented that many times the money they have isn’t sufficient to purchase their food and even less, any needed medicine they might need. Every time we finish our study with these ladies, we give thanks to God for all that we have in our lives, such as a warm and dry house to come home to, a bed that’s dry and hot water in the bathroom. There are so many things that we take for granted and we often times forget to thank God for his daily provision. I also feel a sense of deep joy to be able to be a blessing to families such as doña Rosa’s. I rejoice that through your faithful support we are able to teach them about the greatest and best gift we can ever receive in our lives – to be able to receive God’s daily provision of grace for our lives by receiving Jesus Christ as our personal savior, allowing him to transform our lives into something even greater and more beautiful than what we presently are. I know without doubt that when we serve those with less resources than us, those with so many needs, in reality we are not serving man but rather we are visiting Jesus himself. Serving those in need is serving Jesus. 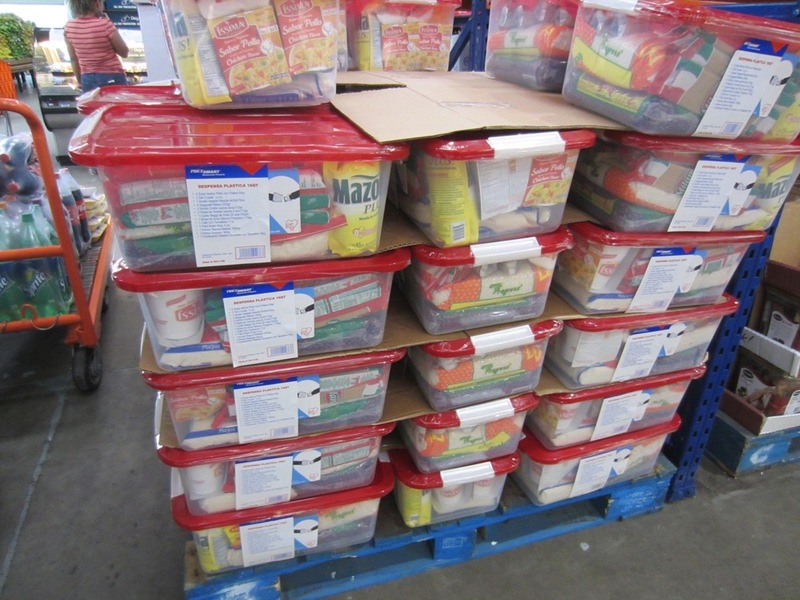 Lastly, this year again in November and December we will be sharing with needy families like those of doña Rosa Christmas baskets of food, along with kitchen utensils such as plates and glasses to assist them in having a bit of Christmas cheer this year. We visit each home and share a Bible portion with them as well as praying a blessing on their home. Each basket we share costs about $38 to put together and you can go to our donate now area to share with those maybe one, two or three baskets of Christmas joy with a needy family. Read more about Click for St. Nick by clicking here. We hope you can join us in helping us to reach 80 families this year with the joy of Christmas. 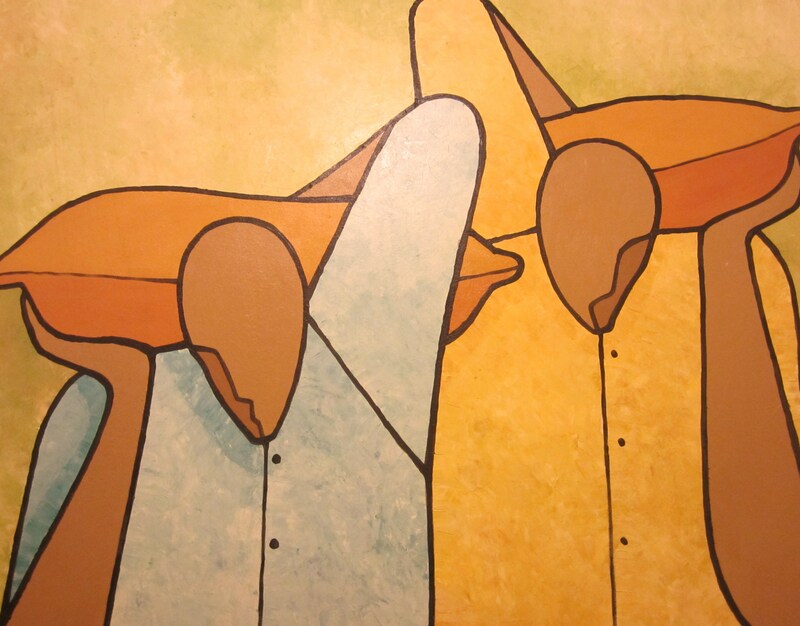 In visiting the hospital, lately I’ve been noticing that very few people are involved with a church and that even fewer yet have a close relationship with Jesus. I don’t understand how they are able to live their lives as they do because for me, life without Jesus is difficult to understand. For me, the joy of loving Jesus and knowing that every day it is He who gives me the strength to continue in this world full of trials and difficulties enables me to carry on this ministry. Whenever I go to the hospital I thank God because I know that through my visits, there will be many who will hear how wonderful He is and how wonderful it is to know that we can count on Him for every decision in our lives. The wonderful assurance that I have is that I feel his great love and I know that one day I will return to his presence. During my most recent visits to the hospital, I have felt the presence of God present with every person that I have talked with. The Lord is who decides what I am to say to a specific person. It’s beautiful to see that when we share our story with others we are able to transmit the passion we have in knowing Jesus. This person then hears our message and from then on God is in charge of who waters and fertilizes the seeds that we were able to plant. With God’s Holy Spirit, these seeds will germinate and grow as these women ponder the message that they received. I am thankful that I have the opportunity to share this valuable gift of eternal life with others. I am not able to remain silent and not taking the opportunity that is given me to others the message that they too can know Him and one day be united with Him in heaven. I am so glad that many of you have in some way a part of this joy. We are all a team and together we can achieve many great things in sharing with other women that that each one of us has the opportunity to know Jesus personally. 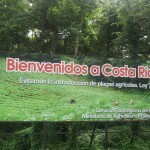 W hen we moved to Costa Rica, I had many doubts about how everything was going to work out and just what would we be doing after settling in here. I knew that God had a plan for us and that God is truly amazing and that when we are obedient, He is there ahead of us showing us the right path, the right moment and the right people to work with. 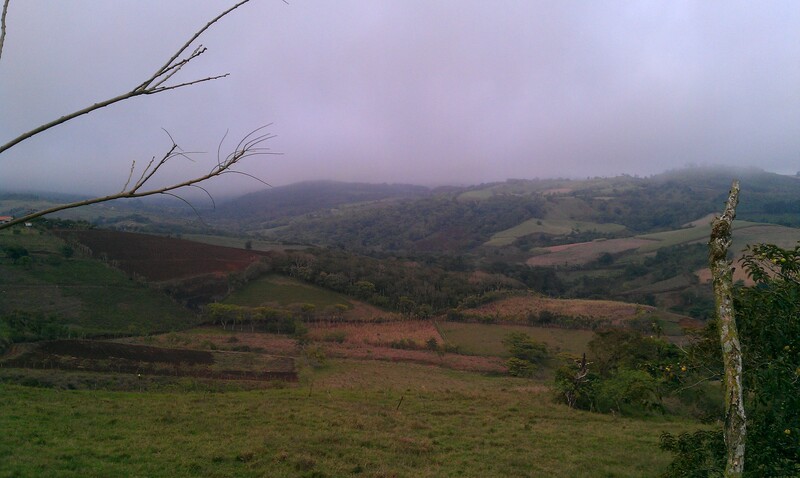 We have been in this new area of the country about 3 months now and now I know why we’re here. I’m very excited to see how God is working and no matter where we are in this city He uses us to complete His work. 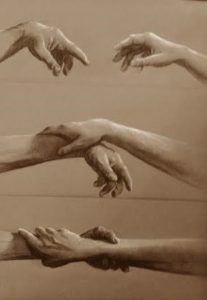 We are His hands and feet. Since we’ve arrived here He’s opened up different windows of opportunities for us. Sometimes I think that I would like to multiply myself into 4 or 5 others like me so I could do a faster and better work for His Kingdom because Hannah and I have so many things to do. We just recently got our permits to go inside the hospital and we are so excited to work with mothers and babies, children, adults and other people that are so desperate to hear something new, something refreshing; that missing truth that they’ve been looking for all their lives. They just don’t realize that it’s found only in Jesus Christ. We have started three different Bible Studies with women and are discipling other women so they can continue with what we’ve already started. In time we’ll be able to start other new studies. We are also visiting an orphanage once a week where we teach the children about Jesus loving them and encourage them so that they can find in Jesus that which they haven’t found in their birth family. These are a few of the many things that we’re doing here to further God’s kingdom. God is truly amazing and we joyfully continue to share the good news of Jesus to those God puts into our paths. We encourage you to remember us in prayer as we help those He’s called us to help. You might be someone who God is calling to come and help us for a short time or maybe He’s calling you to help us through prayer and partnership in helping others with knowing the love of Jesus. We have been called and we want to be able to continue doing what He’s showing us to do. If you’re not able to come and help maybe your part can be to help us financially to be a blessing to these mothers and children along with the forgotten elderly and others that we meet at the hospital. You can donate now at our site on this page and in reality its quite simple to do. If you need help, you can send me a message or email from our contact us now page and I will help you through the process. 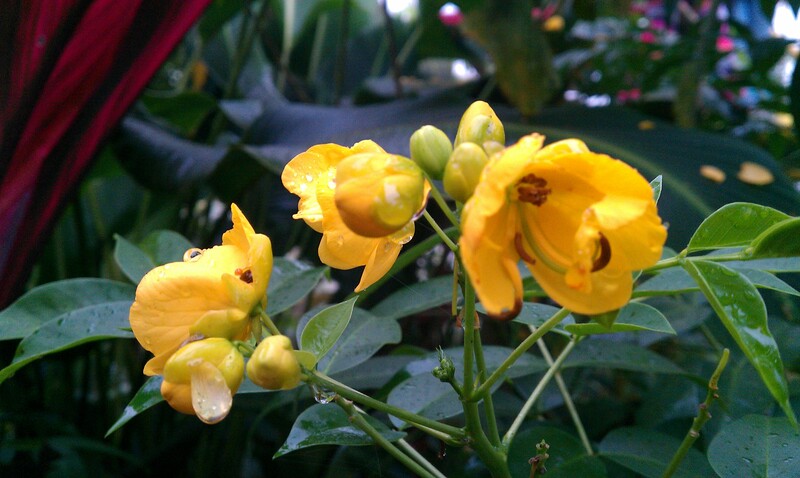 While the sunlight enters my window and the gentle breezes of early morning cheer the plants on the patio to dance and enjoy the moment, I too have been deep in thought about a certain person that we’ve met and have been encouraging. It started with a visit to a hospital because this person had been admitted due to some problems in life that they were having a hard time coping with. Imagine having a perfect job and then one day coming to work and being accused by some of your “friends” at work that you had stolen from the company and that because of that you were going to be fired after giving the best part of your life to helping the company grow. Why do people do bad things to other people? Then to find out that your partner has been cheating on you. This means having to mentally and emotionally go through the challenges and the roller coaster of emotions in dealing with all that this throws at you. Lastly, then realizing that you have no one to lean on or to talk with and that after living a somewhat secular God-free life there is no higher dimension to your life other than the daily routine. Where do you turn? Do you understand why some people consider an option of simply ending their life and thus ending the pain and suffering that you’re going through? 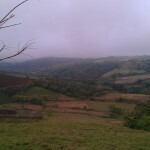 That is what we encountered. Presently, we have a weekly Biblestudy and prayer with this person and they are learning for the first time that they have a loving Heavenly Father who cares and does truly want to give them an abundant life overflowing with joy and peace. This is possible to those who believe Jesus’ message that he said in Matthew 11:28-30. “If you are tired from carrying heavy burdens, come to me and I will give you rest. Take the yoke* I give you. Put it on your shoulders and learn from me. I am gentle and humble, and you will find rest. This yoke is easy to bear, and this burden is light. *In Jesus time yokes were put on the necks of animals, so that they could pull a plow or a wagon. A yoke was a symbol of obedience and hard work. Seek him today! Can you too believe for highest and best use for your life? Can you believe with me that God has a higher purpose for your life and you too can discover it in prayer with Him merely asking him to take control and to reveal his truth to you through the Bible, his inspired love letter to you! Do it today! 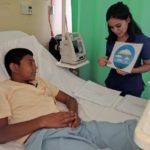 Our program of Justice at SOR Mission reaches out to children and mothers in the local hospitals. 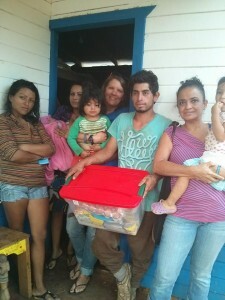 Those who were in need was little nearly 2 year old boy named Jose. He was barely two years old when he was diagnosed with brain cancer and starting to undergo radiation treatment at a local hospital when Alexandra first met him and his mother through a mutual friend. 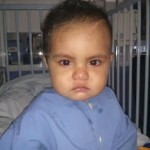 His mother “Tania” took such good care of little Jose while he was with us but now the challenge of losing her little boy is only increased by the large medical bills still owing even after he’s passed on to the presence of Jesus. We came alongside with our Justice program to assist this family. They were presented clothes as well as other needed items. Alexandra continues to counsel Tania so that she can get through this difficult situation. Pray along with us that Tania will have strength and and that God grants wisdom to Alexandra to minister to Tania during her time of loss. Since arriving in Costa Rica I have been so busy as many of you know with my duties of caring for my mom, grandmother and sister. However, in between times I have been visiting several places looking where the LORD would have me minister here to the needs of the children and young mothers. I have found that the need to help these vulnerable people is the same whether one’s in Costa Rica, Nicaragua or Honduras. I pray that you will join me in praying for these open doors that God will allow us to move into so that others will be encouraged as they hear the good news of our LORD. He alone is the one who can change lives and give hope to those living in darkness. 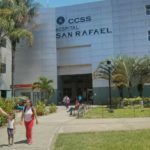 These pictures that I have included in this article are from the Hospital de Niños which in English is Hospital of the Children. Pray that these doors open as well as in other outlying hospitals. I spent nearly a month and a half with my mother in the hospital as her cancer prevented her from any movement so she was forced to lie quietly in her hospital bed. In the time I spent in the hospital with my mother, God also provided me opportunities to bless, share and pray for many desperate women who were also suffering from cancer. 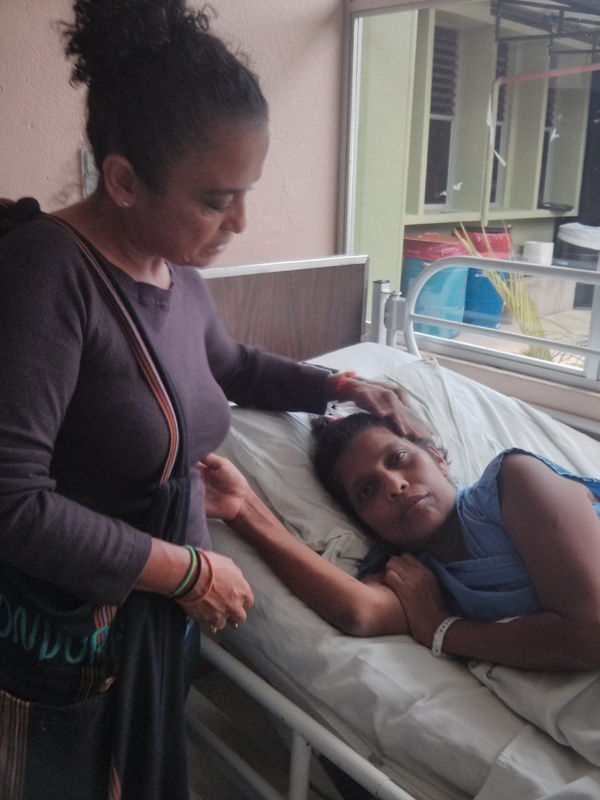 Now that she has been sent home to spend her last days with her family, I am helping to provide personal care for her as here in Costa Rica there is no Hospice nor does the medical system provide home care after being sent home. I have learned to give injections, supervise her position being changed so as to prevent bedsores as well as overseeing her meds and all the other details one needs to do to provide medical care. I feel not only like Mother Teresa but also a RN. The days and nights have been long and I find myself exhausted. My Christmas this year is to serve my mother who had served me for so many years. Every time I enter a room on the maternity ward at the Intercity Hospital I say to the mothers who are present in each room that it’s not a coincidence that my sisters of mercy and I are in their room. I tell them that they were selected today by God our Father to hear a message that God sent me to bring to them along with a gift for their baby. Of the 60 women that are in the hospital on any given day in maternity, we visit about 20 women per day and without doubt it’s God who decides what rooms we visit that day to bring a message to the women there. Today was no exception to this. My friend and sister in the Lord, Juana and I, had visited four rooms where the majority of the babies had been boys. After leaving our last room I had said to Juana that we should probably go as the six packets of baby clothes and blankets we had left were all for baby girls. We also didn’t want to go into another room to just leave clothes and pray for the women with one or two baby girls and avoid helping the mothers with baby boys. Juana had mentioned also that it was quite inconceivable to find a room with just baby girls seeing that the majority of babies today were just baby boys. There was a nurse nearly overhearing us talk who said that she would be happy to go and ask in the next room if there were baby girls there and if so, how many. You won’t believe the shock we received when the nurse returned all smiles and said to us, “You won’t believe this but the room next door has 6 mothers and they ALL have baby girls! !” Only God can do something as amazing as this! Wow! 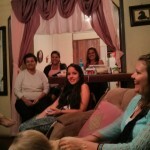 We went to this last room and shared a powerful message of salvation with the mothers. Every women in that room paid special attention to the message and one of them received Jesus Christ as their personal Savior. We know that God has all things planned according to his will and nothing happens by coincidence in this world. Do you want to believe this too? Believing begins with believing the message that God has for us through his Son Jesus Christ. Have you not as yet believed? In closing I am so glad to serve such an awesome God here in Honduras and I know too that there are many people waiting to hear the same message in Nicaragua and Costa Rica as well. I am so joyful to know that our steps are planned by Him and He always completes his will in spite of the circumstances that we see present around us. If you are that person who hasn’t committed your life to Christ as yet, you can do so today right where you are at this moment. God will meet with you as you personally ask him to forgive your sins and to cleanse you. Invite him to inhabit your life through the Holy Spirit who will come into your life to be your helper. 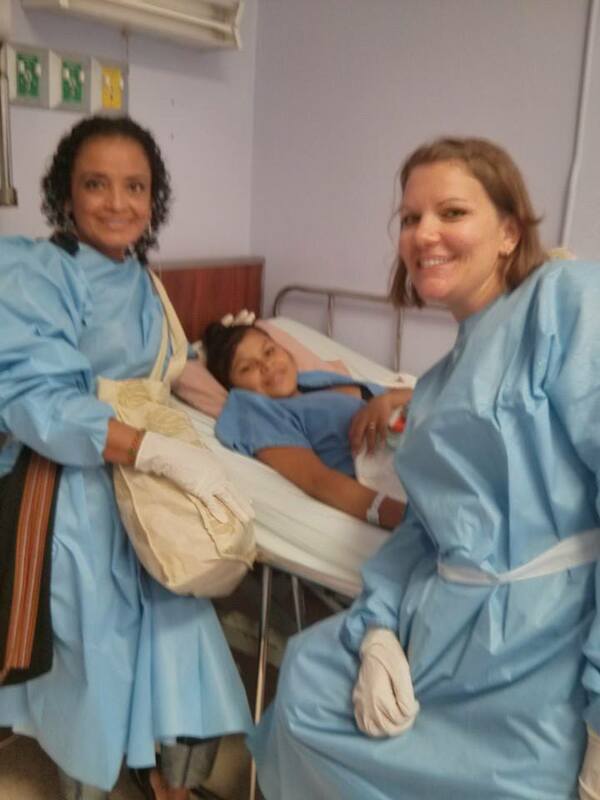 Having just arrived back in Tegucigalpa, I am looking forward to beginning once again the ministry at the Intercity Hospital where Seeds of Righteousness Mission has ministered since we arrived in Honduras. The wards that I and my team visit are so in need of spiritual light that it excites me to get back to doing what I love to do. 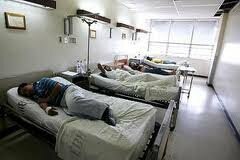 Our following the PEACE plan certainly involves the A in assisting the poor and the C in caring for the sick. Its a joy to serve in this capacity. Please consider coming down this winter with a team of two or three of you ladies to assist me and to love on those so loved by our Father in Heaven. Please scroll down to bottom of page to leave me your comments and encouragements. I can use them. 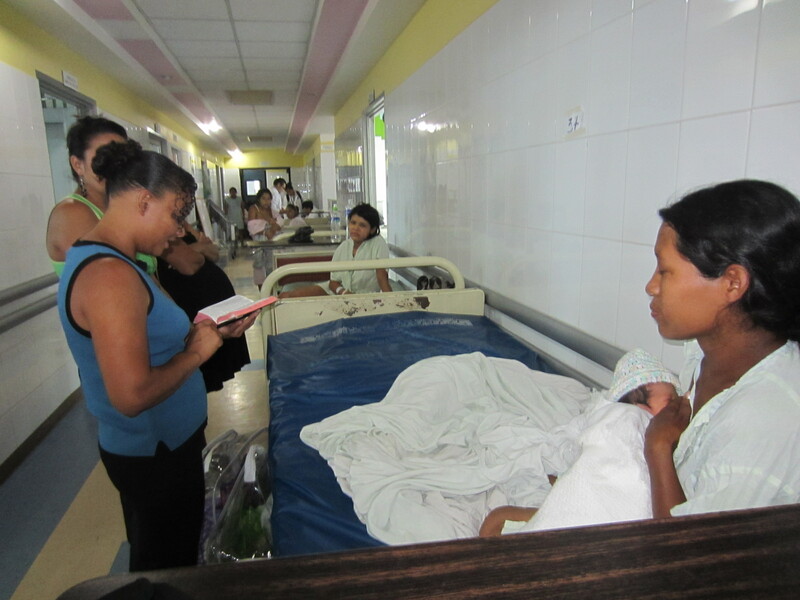 What I have enjoyed the most about my ministry for the LORD in Honduras is when I visit the Maternity Ward at the local Intercity Hospital. The majority of the women who we visit have very limited resources and as a result they are always so happy to receive the gifts we present them for their babies. Moreover, they listen with great respect and attention to the message from God’s Word that we present them. However, in spite of all these positive points, there are also many of the women who have deep and profound pain that would move most of us who listened to their stories of their pain and struggles. Yesterday while Maria Elena and I were visiting various rooms in the maternity ward, one of the mothers asked us if we could pray for her. As we approached her bed we asked her as to how we could pray specifically for her. Immediately she began sobbing deeply with uncontrollable tears falling on her and the bed. She began to share with us the deep loneliness that she felt because of her husband not wanting to accompany her to the hospital for the birth of their child. She further explained that he had said just before she left home that he wasn’t even sure if the child was his. I committed her into God’s loving hands and I continue to pray for her so that she will hear the words I said to her that day about receiving Jesus into her life. While I’m still on this page and writing, I might also ask you the reader where are you with Jesus? 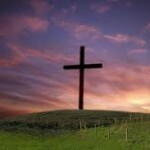 Have you committed your life to him as yet? Are you living similar circumstances that this lady is living? Please ask Jesus now to help you and he will. 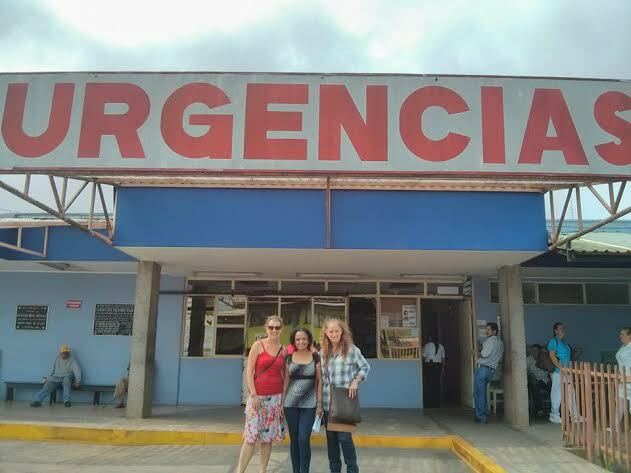 This past two weeks we have visited approximately 60 women at the maturity hospital where I share the love of Jesus along with receiving blankets, onesies, feminine hygiene products and other small items for the mothers. Each day I go I am always moved to compassion by how little so many of these mothers have and how appreciative they are to receive what we bring. Having recently returned from the States I was able to bring a good quantity of things that I needed to share at the hospital and thanks to many of you who shared with me while home, I was able to distribute these items to the ladies. This past week we had three ladies who asked me for prayer for receiving Jesus into their lives. Each time a lady asks for prayer to know Jesus, my heart is so moved but today I wanted to thank you also for helping me with providing these items. You had a part of this. Maybe you can’t go like Mateo and I have but you have given to help us go and also given to help me to share with these ladies. 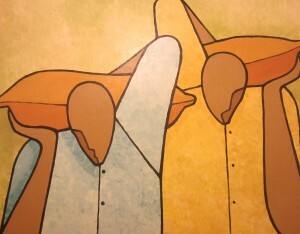 We together can life our voices and rejoice because we have done this for the glory of God. If you should choose to help us financially with this ministry you can go to the donate now area and there make a secure donation to our mission’s work. My Honduran assistant for today’s SOR Mission day of planting seeds of hope and justice was Carolina a young women who has a heart to serve the Lord. Today, we visited the children at the Intercity Hospital Kidney Ward. Afterwards we went to a local restaurant where we had a small snack. This particular place is usually packed with lots of people having lunch like us and today was no exception. 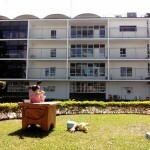 It was full of families of patients and hospital staff having a quick lunch. Carolina and I found a table and while waiting for our food to come, two ladies came over and asked us if they could use the two extra chairs we had at our table. Of course! I said with a big smile. They smiled back, sat down and started eating their lunch. When our food came we gave thank to the Lord and as soon as I had finished praying one of the ladies asked me, “Do you attend church?” “Yes I replied, we attend an evangelical church located nearby.” “Could you do me a favor she asked? Could you pray for my little granddaughter? She was born yesterday and she is not doing well. 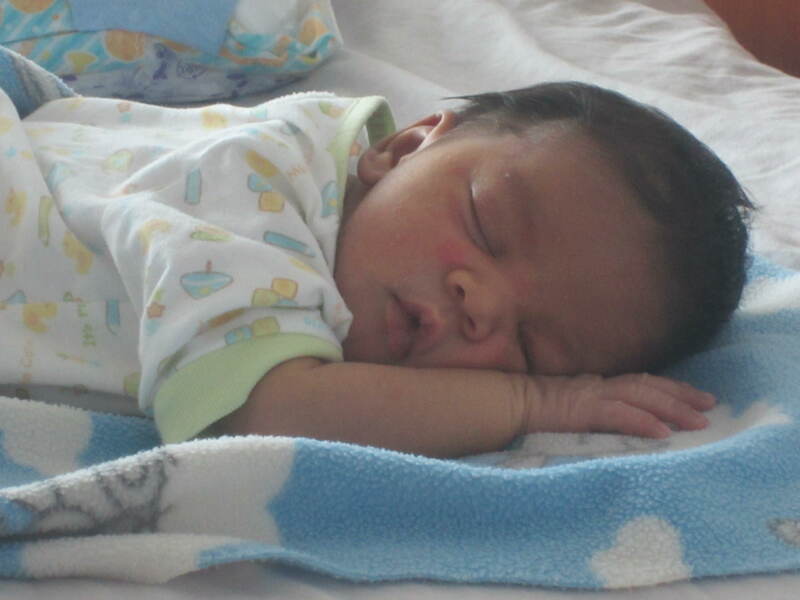 The baby was born two month premature. We are so afraid that she is not going to make it. Please pray for her” she humbly asked. I told her that it would be an honor for me because that was why I came to Honduras. I concluded by asking her, “Do you believe that God can heal your granddaughter? Yes He can!” she said. “If you pray I know God will be able to heal her. 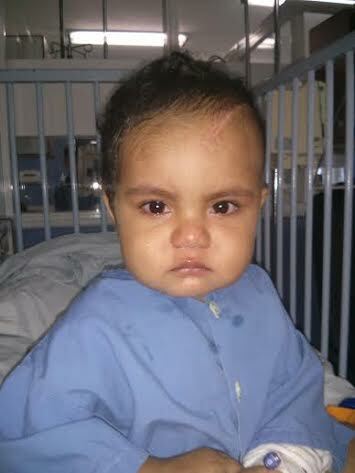 Please pray for her when you arrived home” she said with hope beginning to appear in her eyes! How about if we pray here, right now? I replied. She was a little bit hesitant but agreed to let us pray for her grandchild right there at our restaurant table. Right there we prayed for this little 2 month premature baby for healing. I told her that I was sure that our encounter was a divine one as I didn’t believe that her sitting right next to us was just a casual encounter. God is in control of our lives and I know that He is going to use this encounter for a special reason. I’ll continue praying for her and her granddaughter and family. She was very thankful. We are visiting the maternity ward tomorrow morning and I hope I will be able to see the daughter in maternity so that I can again pray for them. I know that God gives us opportunities everyday in our lives. Children are precious to Jesus and he asks us to take special care of them. I’m so glad I was able to seize the moment and to bless somebody and because of that special moment her life and her family’s life can be transformed by Jesus Christ. SO JUST WHAT IS TRUE LOVE BASED ON A BIBLICAL DEFINITION? Today, before her visit to the hospital tomorrow, I was half way listening in on how my Alex was planning her day in between working on year end business for the mission. I realized that as I heard a few words here and there, that there was a plan ongoing as to how to get to the cheapest source of items that she will need for tomorrow’s visit to the women that she visits. For many of us, going downtown to do some shopping is merely a matter of getting into our car and driving downtown to purchase what we need. Here however, it’s not quite that simple remembering that we live in one of the most dangerous cities in the world. First, she cannot go alone as that is an accident waiting to happen and secondly, she needs to be accompanied by adults so that the team goes together to purchase what she needs. She could go to one of the chain stores from the USA selling worldwide products, but the items are much more expensive and have you forgotten how missionaries shop? We’re some of the world’s best shoppers. I’m accused often of being one of the most frugal people around. We sometimes wash out plastic snap locks to use them again! She would prefer to go to the dangerous part of town to lower our cost rather than pay 3-4 times more for the same product and shop in peace and security. I commend her for her faith and frugality. In addition to having several adults to accompany her she usually prefers to bring 1-2 guys with her to add to the group size. These guys also help her to transport her goods back to the car that is being guarded in an enclosed parking lot. This afternoon she phoned me telling me that she was on the way home. It’s always a joy to receive such a phone call. Please continue to pray for her and the ministry she’s involved in. The results are amazing and the kingdom is growing because of her efforts. You can help her by supporting her work through Justice by donating on line here or going to the contact us page to find where a check can be mailed. Her week’s purchase will bless over 40 women who have nothing. Continue to pray for her ministry and protection as she serves our God here. May the Lord bless your steps! SADNESS: My heart was saddened when I saw Kimberly a 15 year old mother who appeared to be very sad lying next to her newborn baby girl. “I have nothing for her“ she said in a very low voice. 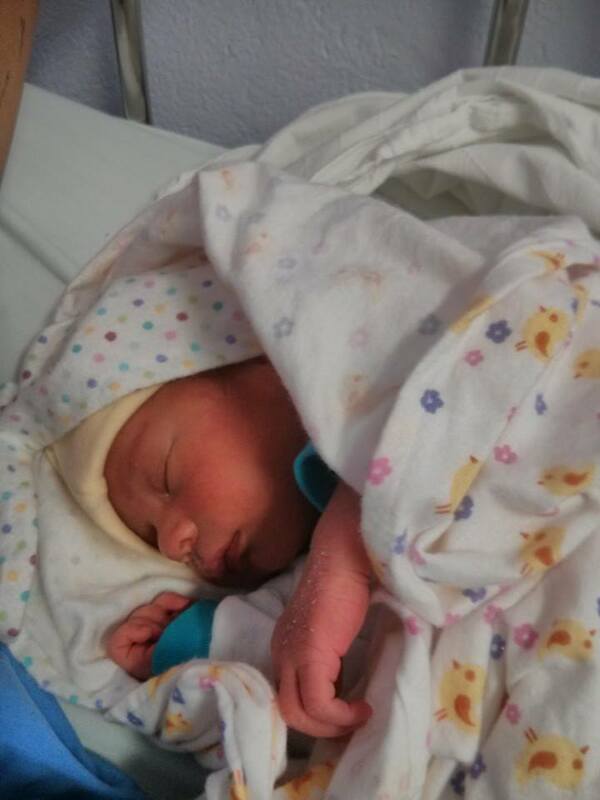 Her baby was born the previous night about 10:30pm and twelve hours later the baby was still wrapped with just a hospital sheet and covered from head to toe with very dry feces. I could see in Kimberly’s eyes the desperation and fear she was feeling. 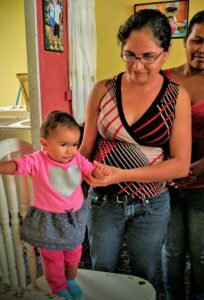 I could see that she didn’t know what to do or how to help her baby so Maria Elena and I cleaned dressed and wrapped her in a brand new receiving blanket that had been purchased from our Justice Fund at Seeds of Righteousness Mission. However how wonderful that was, we still didn’t see any contentment or happiness in Kimberly’s eyes. I felt so sad for this baby and this young girl. What lies ahead for this mother and her child without hope for her life that’s found in the love of Jesus? As I minister here on a regular weekly basis, I am in awe to see the enthusiasm and the high level of engagement exhibited by these ladies at the hospital. In spite of their pain and difficult surroundings they still want to ask questions and participate in what we are presenting to them from the Bible. After praying with her to invite Jesus into her life we left rejoicing in knowing that a new Christian entered the Kingdom of God. My friend, Maria Elena, is a 30 year old woman, married with two beautiful daughters Kimberly and Tiffany. She’s a great example for so many women at our church and also to her friends. She has a servant’s heart and the most beautiful thing about her is that she loves the Lord with all her heart. I’m so happy and thankful to see how Maria Elena has changed and how much she’s grown in the Lord this past year. When she started visiting the hospital with me, she was only listening and reading some of the Bible passages we were sharing with the mothers at the Hospital. Now, six months later, she is full of joy and she can’t wait to share with the mother’s what’s on her heart about the love she has for Jesus our Savior. Last week Maria Elena and I were sharing over coffee after our visit to the hospital and she started talking about how thankful she is for her husband Charlie for how he’s trying so hard to support their family. “My husband is struggling lately about not having enough money, forcing him to either pay for our rent or buy food for the family. I told him that I prefer us to have something to eat and then we’ll figure out a way to pay for the apartment” replied Maria Elena. They live in a place where there are 17 rooms and they share a common bathroom, laundry and kitchen area with the other 16 families. My heart breaks when I see this woman with such a big heart to serve and to help others, but yet personally struggling in her daily life. I love her so much and I wish that someday she will be able to have all her needs provided. If you would like to help Maria Elena you can donate under the box Justice. We will use the money to help alleviate some of their struggles in a very sensitive caring, non intrusive way. Thanks! 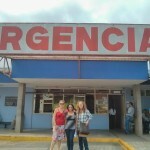 Last week I started visiting the Pediatric ward at the Intercity Hospital in Tegucigalpa. I have had this desire in my heart for sometime and have been praying about it and God has opened the doors for me to start visiting these children to teach them about His great love for them. 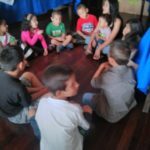 Children in Honduras are very vulnerable. They are victims of violence, child labour abuses as well as sexual exploitation. 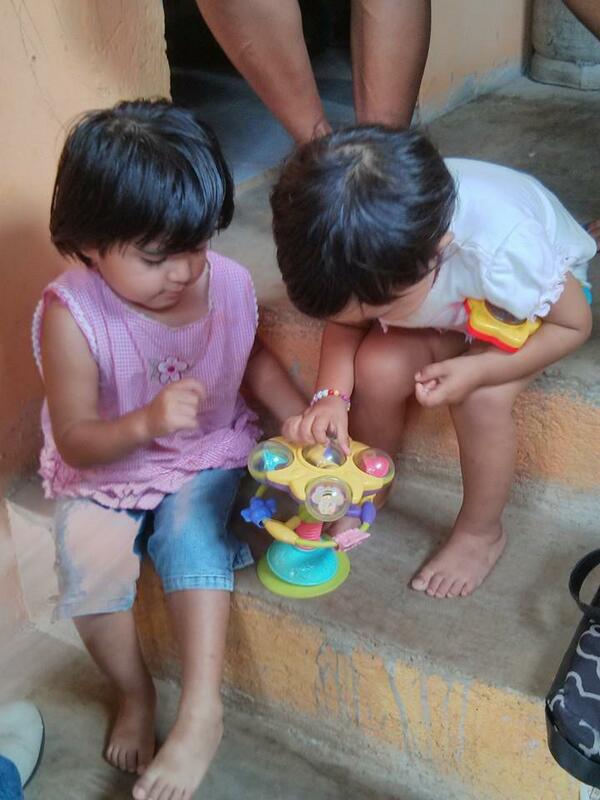 Many of them help provide for their families and they usually start working at a very early age. 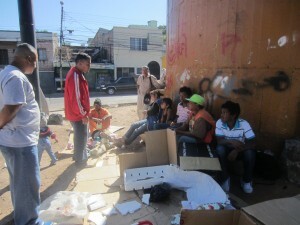 You can see them laboring everywhere in the city, especially in the markets, dumps and streets. Because of having to help their families financially, most are not able to complete their education. The vast majority drop out of school by the 6th grade. 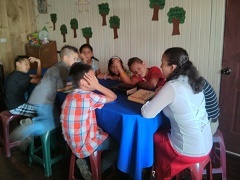 In Matthew 25:40 it says: “The King will reply, truly I tell you, whatever you did for one of the least of these brothers and sisters of mine, you did for me.” Children are so precious to God and I am very thankful for this opportunity I have to go and share with them a Bible Story and to pray for them. 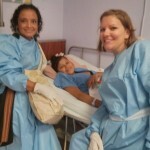 Last week I prayed for Beverly a nine year old girl that was struggling with an appendicitis infection. She was very sick and her mother was very afraid that she was going to lose her at any moment. Her high temperatures were constant and the medication she was taking wasn’t helping much. Her mother was very desperate and not being a believer in Jesus, she was very thankful that I was going to pray for her daughter. “Do you want me to pray for you?” Do you believe that God can heal you?” I asked Beverly. “Yes!” she replied showing me a big smile. Two days later I visited her again and her temperature had dropped substantially and she was able to walk on her own. I’m so thankful that I have the opportunity to be part of these children lives. The most important part is that they are going to know who Jesus is and how much He loves them. This is going to make a difference in their lives!! Come back soon for the next posting in Justice. Please tell a friend of how God is using the ministry of Justice through SOR Mission to touch young mothers and their babies as well as young vulnerable children. 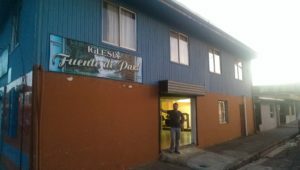 Your prayer & financial support is needed for this ministry. You can donate on line here, use PayPal( sormission@gmail.com) or mail by clicking on the contact us box. You might want to consider becoming a monthly supporter of this ministry. Please contact us so we can advise you as to how easy it will be. If you’re on Facebook, please share your interest and comments with your FB family.